Rajasthan Royals have never hit the heights of first edition of Indian Premier League when they surprised everyone and managed to win the first ever IPL title back in 2008. But since than they have been pretty mediocre and hit the lowest when three of the Rajasthan Royals players were arrested for max fixing allegations and finished fifth in the last years IPL edition. Going into the 2015 IPL auction Rajasthan has retained 19 players from the previous squad while released 5 which leaves them with the budget of Rs 13 crores. 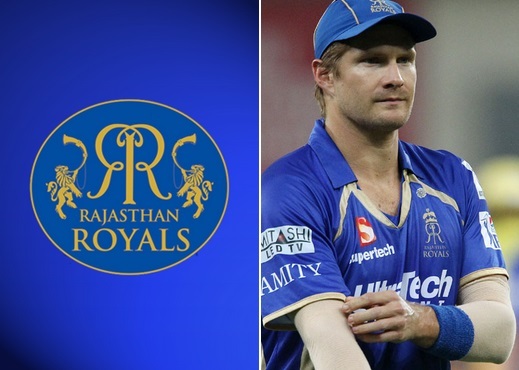 Here we take a look at Rajasthan Royals current squad and what players they have released and retain, we will also update the page on 16th February 2015 after the IPL auction with full fledge squad of Rajasthan Royals. 3 players were released from the 2014 squad and 3 were sold to the other teams, here is the list of players which Rajasthan team management let go. Brad Hodge had been with the team since 2012 and as age has caught up with him Rajasthan decided to let hom go, while Amit Mishra was below par last season and he also got released from the team. Mumbai Indian use the IPL transfer window in october to buy Parthiv Patel and Unmukt Chand from Rajasthan Royals, who will be looking to buy some fresh indian talent in upcoming auction.